Zumba, pilates, circuit traning, cross fit, insanity -- you name it, we've all, at some point, tried it, to achieve an athletic, chiseled and sculpted body we've always wanted? But we are somehow disappointed, because with 100% effort and time that we've given, we still fall short from achieving the ideal sculpted body. Why? There are many reasons -- age, environmental and physiological factors. Yes.... AGE. But will you be shocked if I tell you, that the lady in this picture, is a 39 year old working mom of two beautiful kids. How did she achieve that gorgeous body? Here's the secret :) --- VASER Hi Definition Liposculpture. It is a surgical body building technique that will give hopefuls an advanced body contouring procedure from the well trained hands and artful eye of the Philippines' very first dermsurgeon trained and certified by the Father of this technique himself in 2008, Dr. Alfredo Hoyos in Bogota, Colombia, Dr. Claudine S. Roura. It was an informative afternoon last April 27, when I attended the Contours event at the Marriott Grand Ballroom. We started the day with an inspiring talk by Ms. Bryce Fabro of Bryce Inspired Careers. She talked about loving yourself, loving your body, and how to be proud and happy to face the world each day. She introduced GRIT -- which in psychology is, a positive, non-cognitive trait based on an individual's passion for a particular long term goal or end state, coupled with a powerful motivation to achieve their respective objective. And in this case -- its all about the passion to LOOK GOOD and achieve that IDEAL BODY. Then we met Dr. Roura, the ONLY liposurgeon in the Philippines, skilled and specialized to perform Vaser Hi Definition Liposculpture in the Philippines. She further explained that the idea of this surgical procedure, is more than just trimming away fat and making the person slimmer. 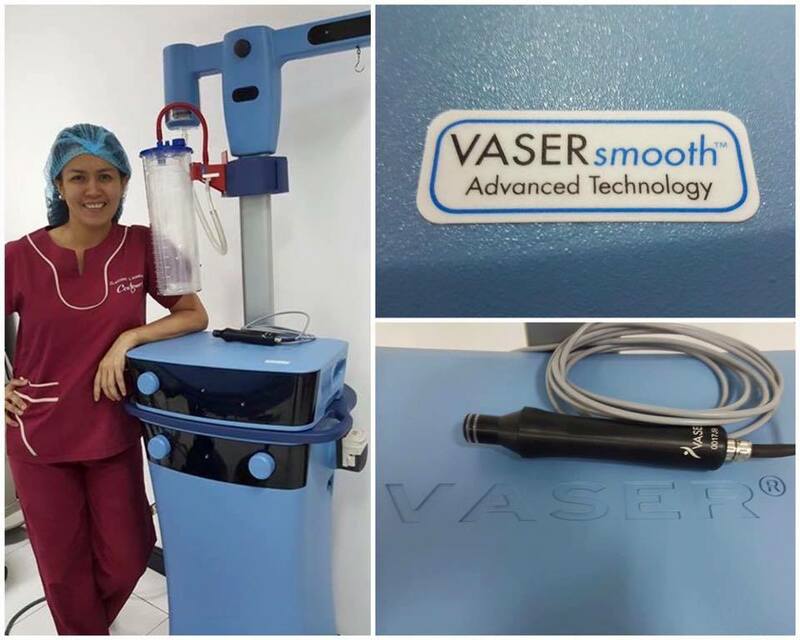 Vaser Hi Def removes the deep and superficial fat which blocks the details of the underlying muscles leaving a natural, believable result. It can cleverly go into "places" that are off limits in the body and never before achieved by conventional liposuction. She adds, that this specialized technique specifically addresses on improving definition of the muscles, the procedure is not for everyone, specifically the "obese". Its not meant to make you lose weight but it is for people who have a fit lifestyle and with regular exercise routines. Its also for people who are prepared to maintain and even increase their wellness efforts after the procedure. This is the case of former child star Chuckie Dreyfus, who works extra hard in the gym but still can't get rid of his love handles. At 40 years old, he tried the Vaser Hi Def, and is very happy with the result. Another happy client is host and comedian Arnell Ignacio. He had the Vaser Hi Def procedure December 2015, and now he confidently flaunts a well curated physique, natural looking abs, and doesn't look a day over 50 nowadays. He said, as a father, he wants to live a healthy, positive life. He doesn't want to be a burden to his daughter, if he gets sick or neglect his body. Let's go back to that gorgeous 39 year old mom... who happens to be the better half of Chuckie... Yen Dreyfus. She said that she is definitely happier with how her body looks now. 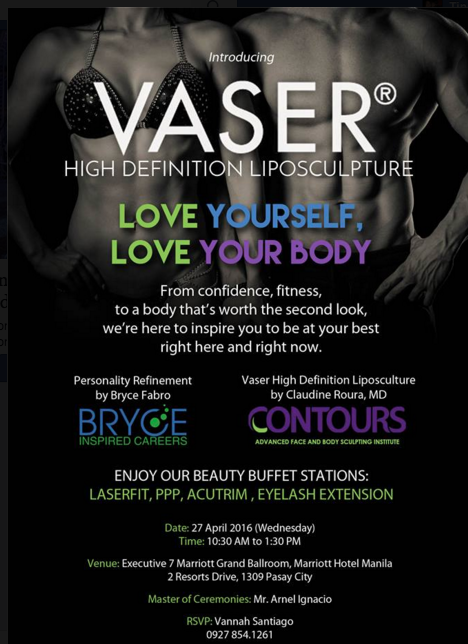 Vaser Hi Def defined her abs, buttocks and sacral dimples. Follow as well their social media pages for regular updates on promotions and events: Contours Advanced Face and Body Sculpting Institute on Facebook and @contours_ph on Instagram.